UFO: Retired US Navy pilot David Fravor trusts what he saw with his own two eyes. And what he saw, in 2004, was a flying object that cannot be identified. Otherwise known as a UFO. It was a “white object, oblong, pointing north, moving erratically,” he told CNN’s Jim Sciutto on Tuesday evening. “As I got close to it … it rapidly accelerated to the south, and disappeared in less than two seconds,” he said. As a believer in UFO’s, Fravor knows there are skeptics. “It’s easy to doubt what we can’t explain,” he said. However, he reminded viewers that he was among other aviation experts, all of whom did their due diligence on that day. 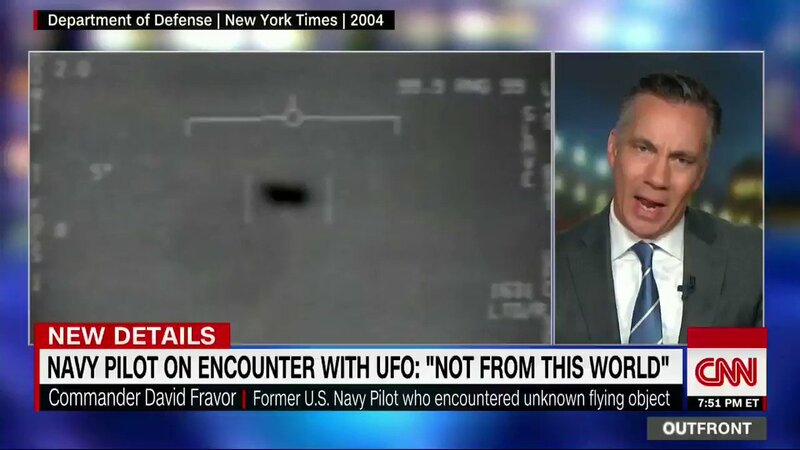 Fravor’s account comes as the New York Times reported the Pentagon has researched the possible existence of UFOs. “We found a lot,” Elizondo said. The former Pentagon official said they identified “anomalous” aircraft that were “seemingly defying the laws of aerodynamics.